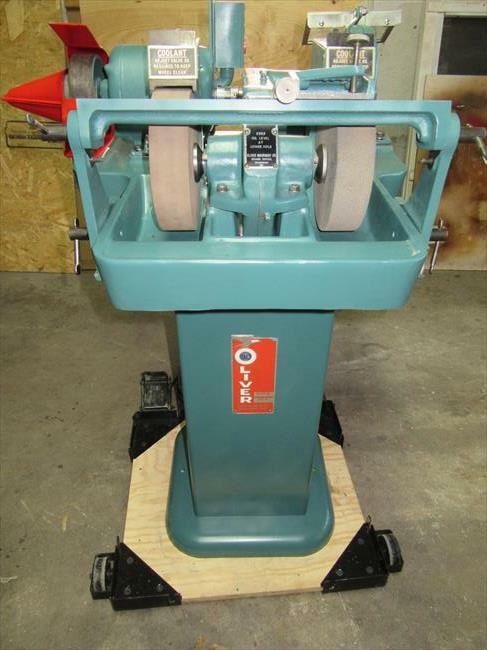 This machine was purchased from a private party who had no prior history on the machine. 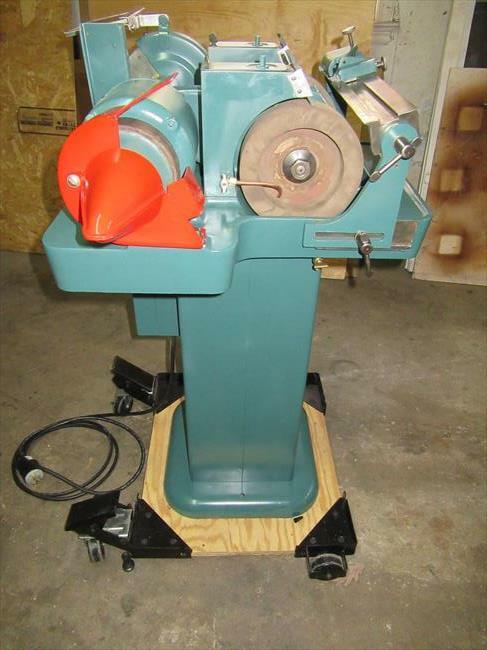 The "Birth Certificate" purchased from Eagle Machinery said that the machine was originally sold to New Jersey Trenton State Collage, Industrial Arts Department. 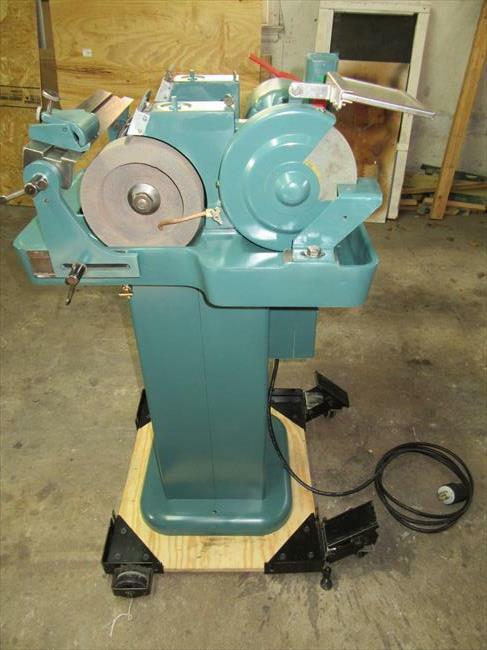 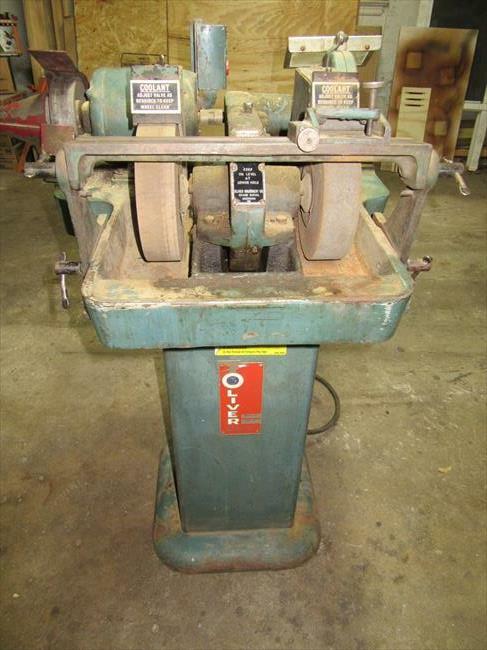 The machine was complete and in good shape with all the original grinding stone wheels, leather stropping wheel and tool rest. 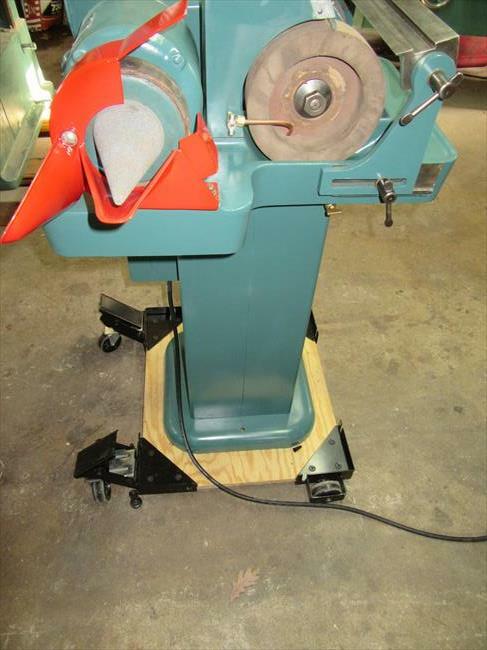 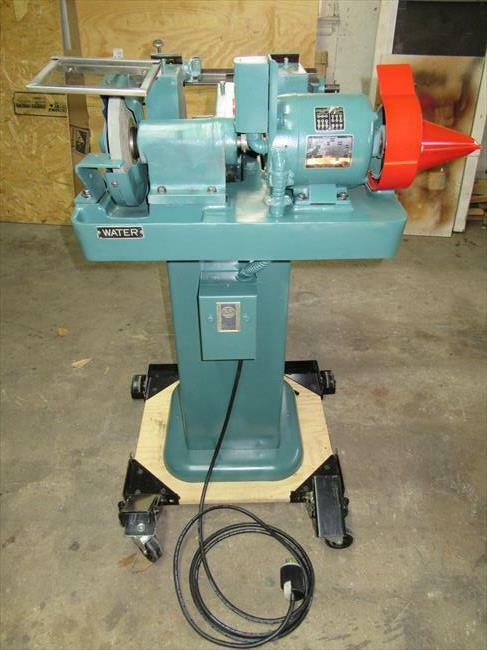 The machine was completely restored with new bearings,seals and paint.